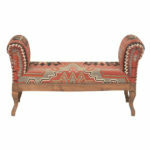 What a unique addition to a lounge vignette! 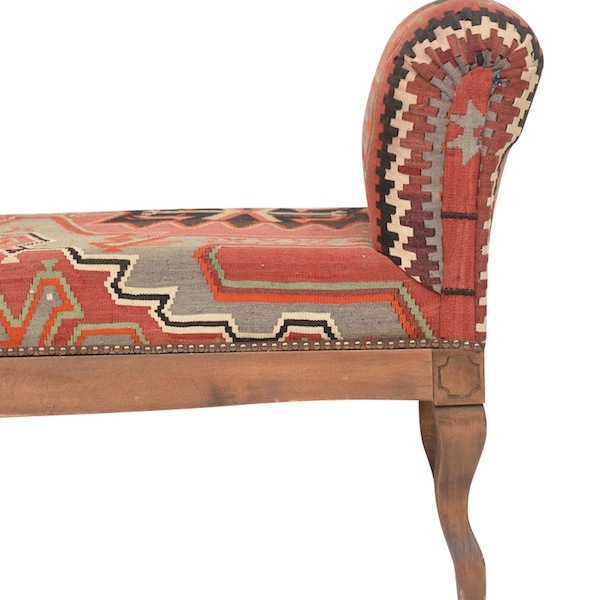 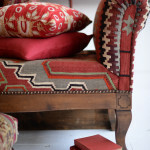 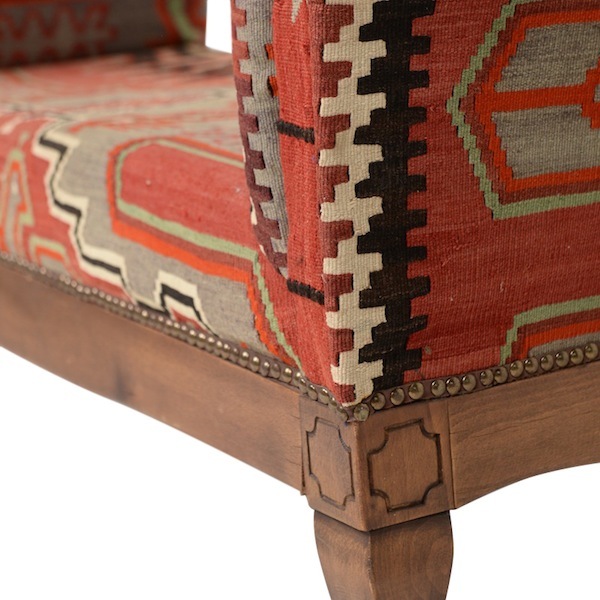 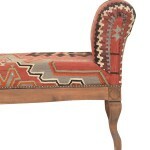 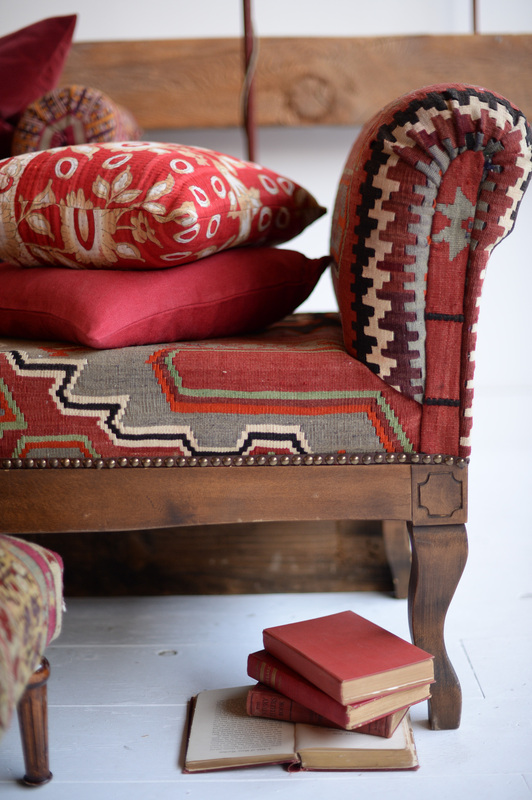 A vintage kilim upholstered bench with rolled arms and nail head detail. Pair with any of our pieces, especially our leather upholstered pieces.